The House Program is designed to provide a venue for the recreational soccer player to learn fundamentals while developing self-esteem and teamwork. The House Program hosts about 85 teams ranging from U8 thru U14 for both boys and girls. The two seasons consist of approximately eight weeks of division games that begin the weekend after Labor Day with girls' games on Saturdays and boys' games on Sundays. All house teams will participate in the Jimmy Kinsella House Fall Tournament at the end of October. The spring season begins in mid April (weather permitting) and continues through early June. The goal of the House Program is to provide players of all skills and abilities an opportunity to learn the game of soccer along with other children their age. The teams are formed based on age, grade, and ability with an equal number of players rated appropriately by their coaches from the previous season. Travel players who also choose to play in the House Program are distributed equally amongst the teams. The Travel Program provides an environment for our area youth to develop skills and technical proficiency so they are able to thrive in the sport at a competitive level. The Travel Program consists of approximately 30 boys and girls teams from U8 thru U18 age divisions competing in IYSA competitive leagues. Our girls teams compete in the Illinois Women's Soccer League (IWSL), and our boys teams compete in the Young Sportsmen's Soccer League (YSSL). 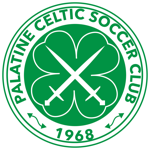 Celtic Travel teams are coached by USSF and NSCAA licensed coaches who often have collegiate and, in some cases, professional playing experience. Our program's primary focus is player development cultivated in a competitive, yet fun, team-oriented environment. Our foundation of the curriculum is based on holistic training and learning to ensure they are able to thrive at a competitive level as proficient and intelligent players. As players grow and mature, technical skills are continually refined with continued application to our core tactical concepts. Many former Celtic players have continued their soccer careers in NCAA Division I, II, III, and NAIA college programs.